Robyn Vilate: The last week of Nordstrom's Anniversary Sale!! The last week of Nordstrom's Anniversary Sale!! Alright friends, it's your last chance to get all these amazing items and so much more for a HUGE discount at Nordstrom's Anniversary Sale! Prices go up August 4th and a lot of these items are 20-30% off, so it's the perfect time to buy if you have been eyeing any of these beauties! I'm in love with the entire outfit the model is wearing and linked each piece- I especially adore the relaxed grey sweater! I'm also thinking it may be a perfect time to invest in some Hunter boots. Make sure you pick up all your favorites soon!! 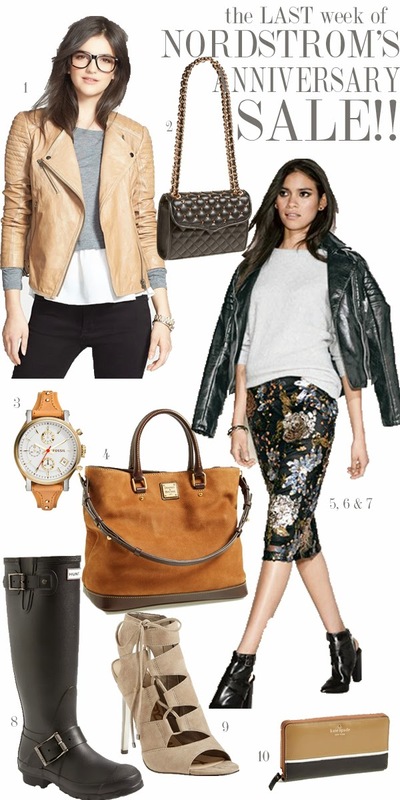 You can see my other favorite wish-lists from the Nordstrom Sale HERE, HERE & HERE. Great picks! Such a great sale!